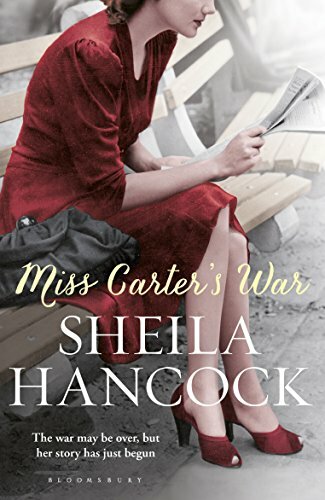 It is 1948 and the young and beautiful Marguerite Carter has lost her parents and survived a terrifying war, working for the SOE behind enemy lines. She returns to England to be one of the first women to receive a degree from the University of Cambridge. Now she pins back her unruly auburn curls, draws a pencil seam up her legs, ties the laces on her sensible black shoes, and sets out towards her future as an English teacher in a girls' grammar school. Outside the classroom Britain is changing fast, and Miss Carter finds herself caught up in social upheaval, swept in and out of love and forging deep, enduring friendships. John Thaw was born in Manchester, the son of a lorry driver. When he arrived at RADA on a scholarship he felt an outsider. In fact his timing was perfect: it was the sixties and television was beginning to make its mark. With his roles in Z-Cars and The Sweeney, fame came quickly. But it was John's role as Morse that made him an icon. In 1974 he married Sheila Hancock, with whom he shared a working-class background and a RADA education. Sheila was already the star of the TV series The Rag Trade and went on to become the first woman artistic director at the RSC. 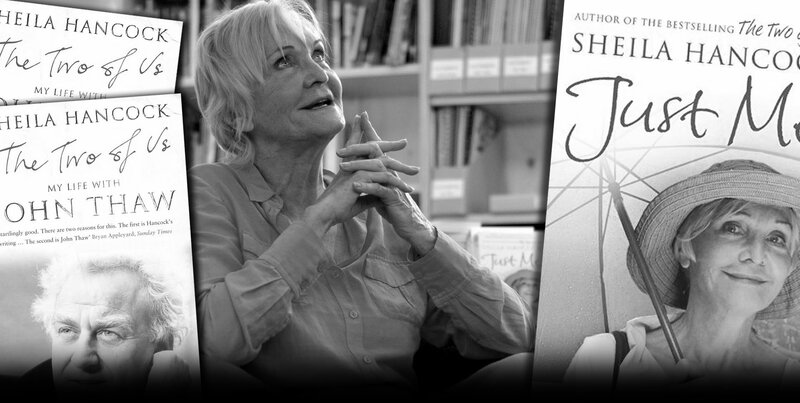 Theirs was a sometimes turbulent, always passionate relationship, and in this remarkable book Sheila describes their love - weathering overwork and the pressures of celebrity, drink and cancer - with honesty and piercing intelligence, and evokes two lives lived to the utmost. 'Well now, prove it, Sheila. As John would say, "Put your money where your mouth is." Be a depressed widow boring the arse off everyone, or get on with life. Your choice.' 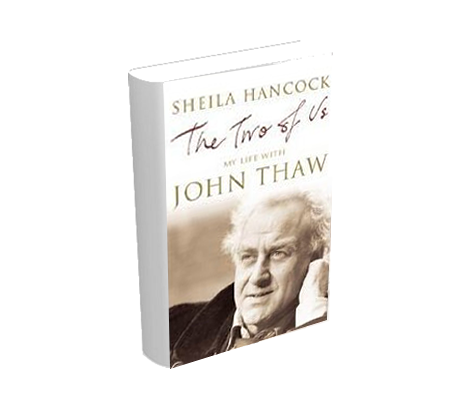 In The Two of Us Sheila relived her life with John Thaw - years packed with love and family, delight and despair. And then she looked ahead. What next? Gardening, grannying and grumbling, while they all had their pleasures, weren't going to fill the aching void that John had left. 'Live adventurously', a Quaker advice, was hovering around her brain. Putting her and John's much loved house in France on the market she embarked on a series of journeys. She tried holidaying alone, contending with invisibility and budget flights. She tried travelling in a group, but the questions she wanted to ask were never the ones the guide wanted to answer. She tried relaxing - harder than you might think. Finally, heading out of her comfort zone, she found her travels, and the things she discovered, led her back to her past; to consider her generation - the last to experience the Second World War - and the kind of person it made her. 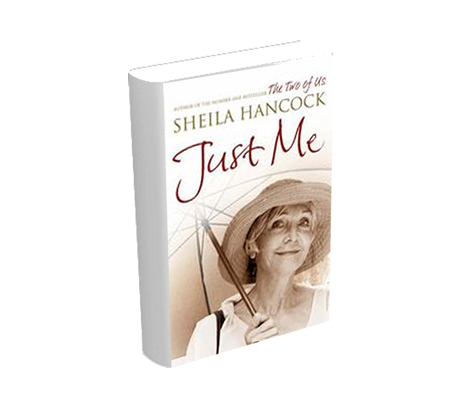 Just Me is a book about moving on, but it is also about looking back, and looking anew. Sheila, whether facing down burglars and Easyjet staff or making friends with waiters and taxi drivers, whether unearthing secrets in Budapest, getting arrested in Thailand, exulting in the art of Venice or searching for a decent cup of coffee in Dorset, is never less than stimulating company. Honest - because if you can't say what you think at seventy-three, when can you? - insightful and wonderfully down to earth, she is a woman seizing the future with wit, gusto and curiosity, on her own.